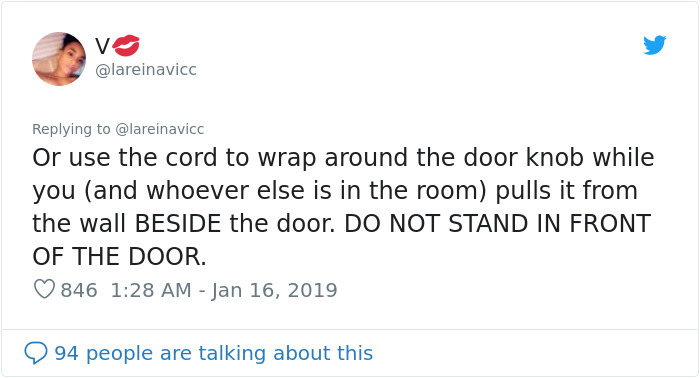 Americans of an earlier generation will probably remember the ‘duck and cover’ type of safety drills at school, a somewhat optimistic protection measure in the event of an atomic explosion. 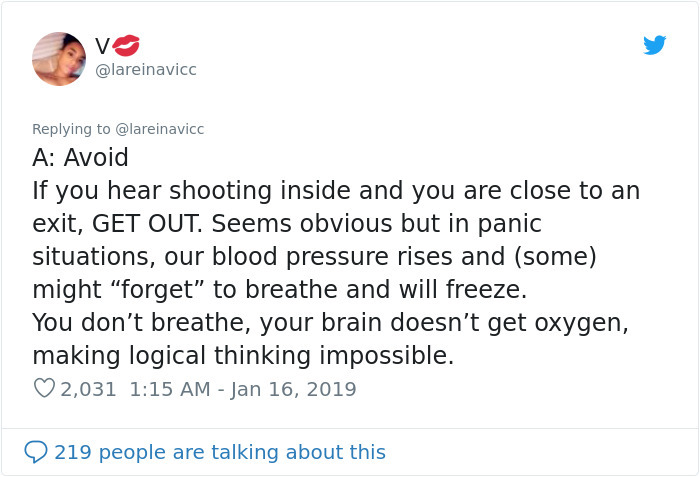 While the threat of nuclear annihilation has subsided somewhat, many residents of the ‘land of the free’ still live with a nagging undercurrent of fear, highlighted by this Twitter thread by @lareinavicc. 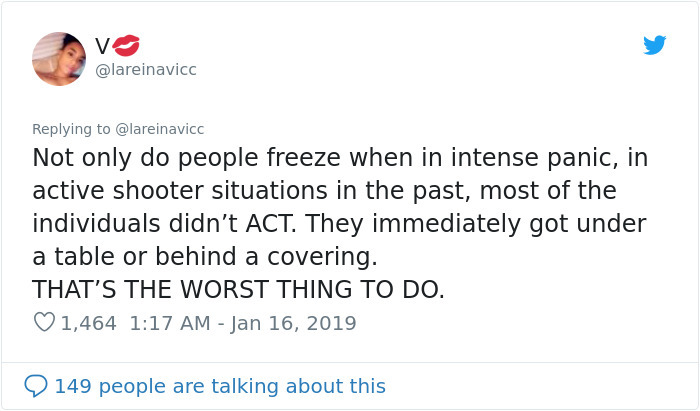 Because yes, in 2017 almost 40,000 people died in shooting incidents in the U.S. That is an insanely high number and a modern day tragedy in a nation that should be doing so much better. 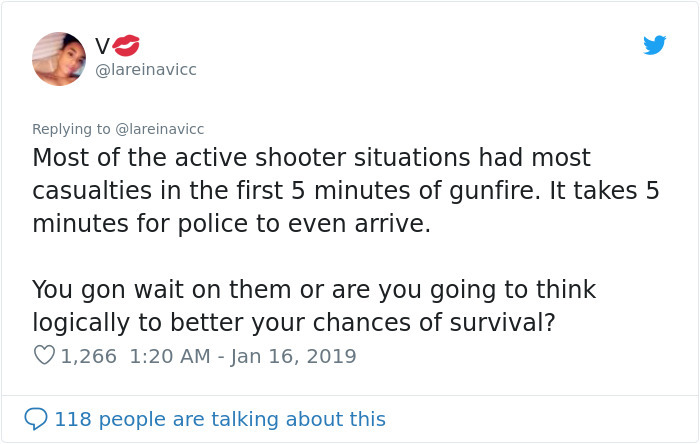 But although the risk of getting caught in the crossfire of a shooting is real, saying that it is “likely” is definitely an exaggeration. 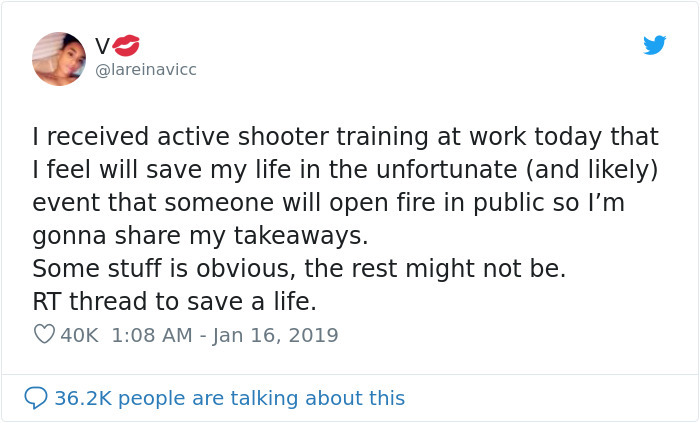 That said, the fact that workplaces feel the need to train their employees on how to react in the event of an active shooter is now a sad reality. 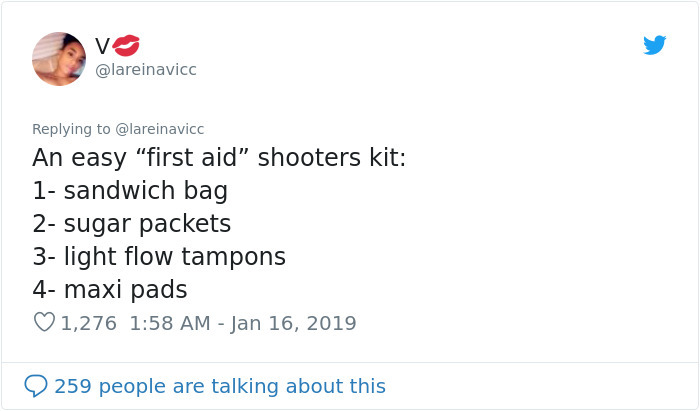 Because it’s always better to be prepared if the worst were to happen isn’t it? 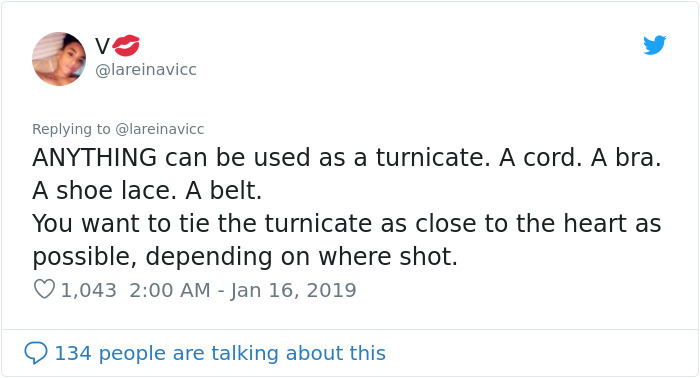 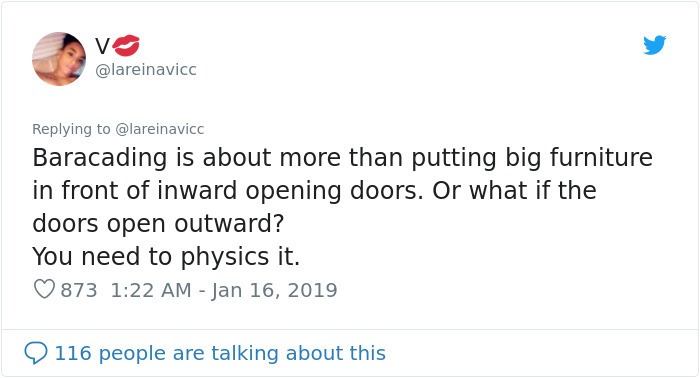 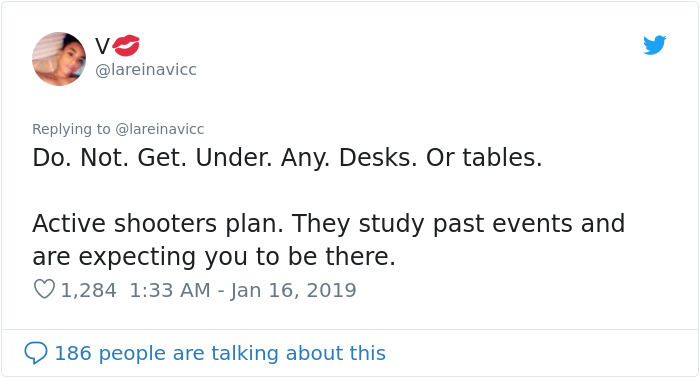 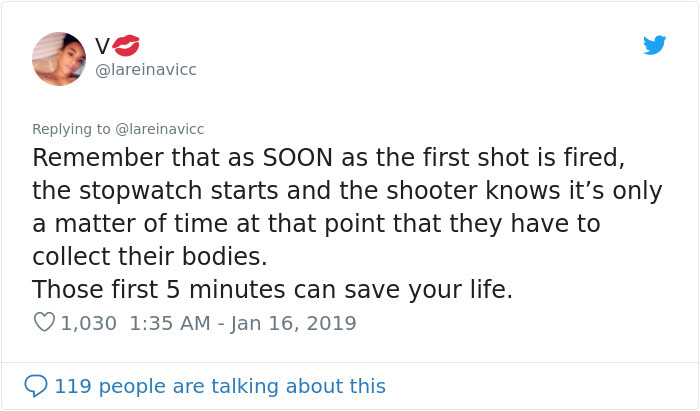 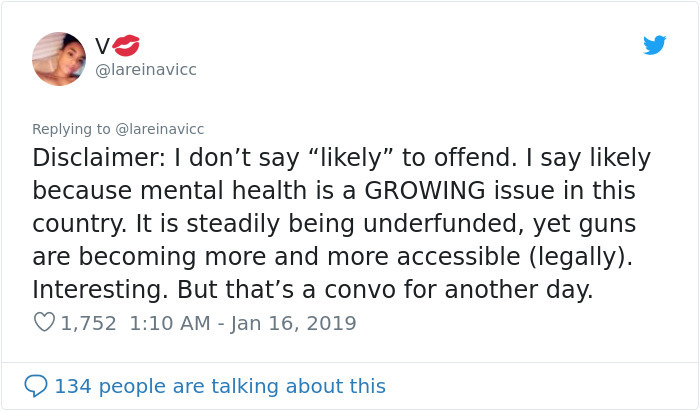 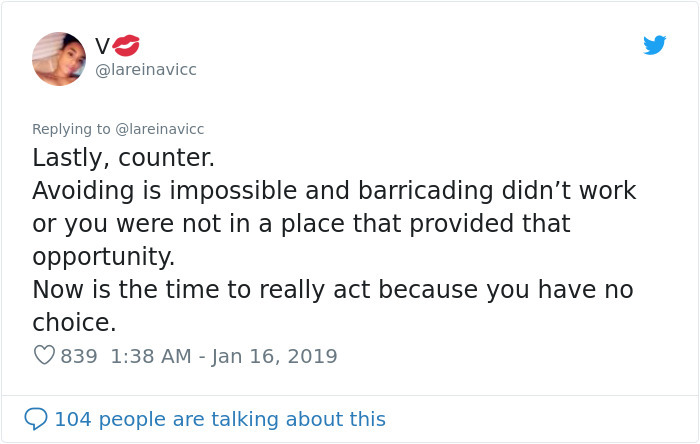 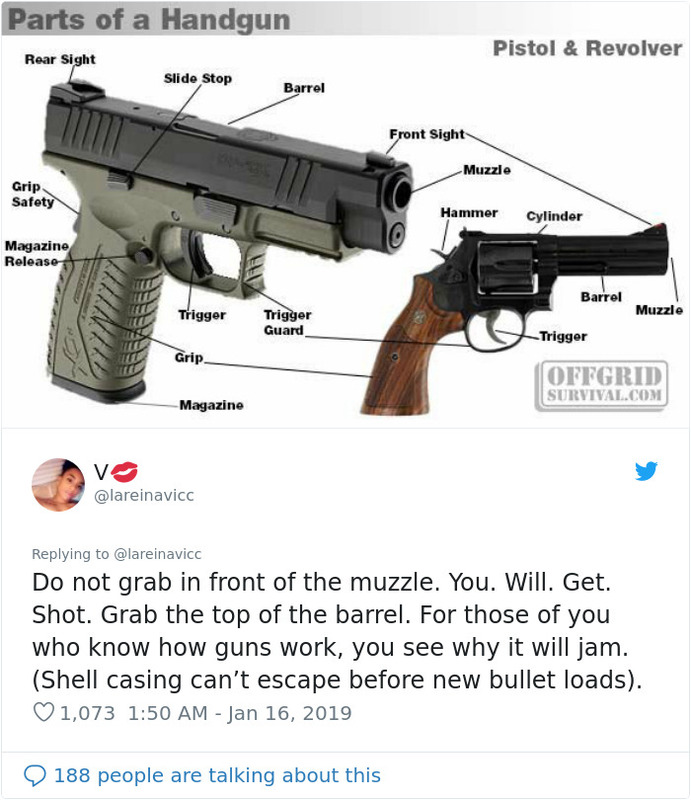 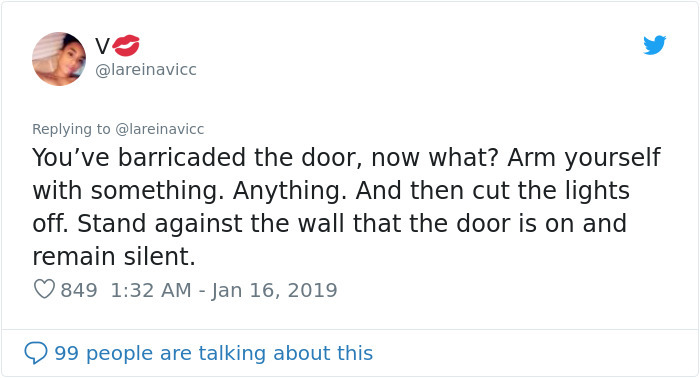 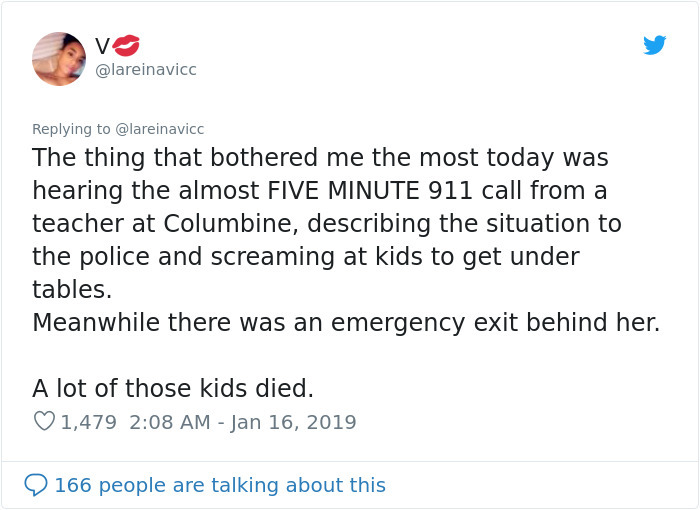 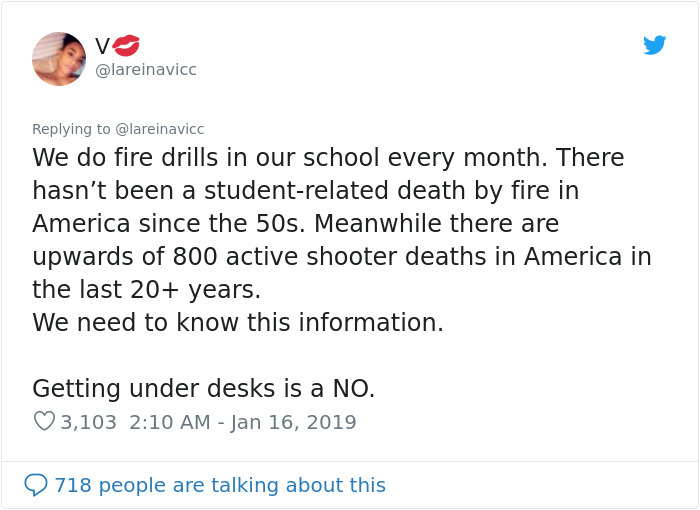 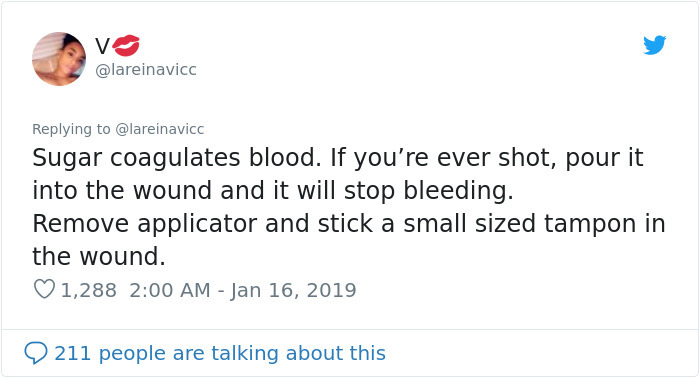 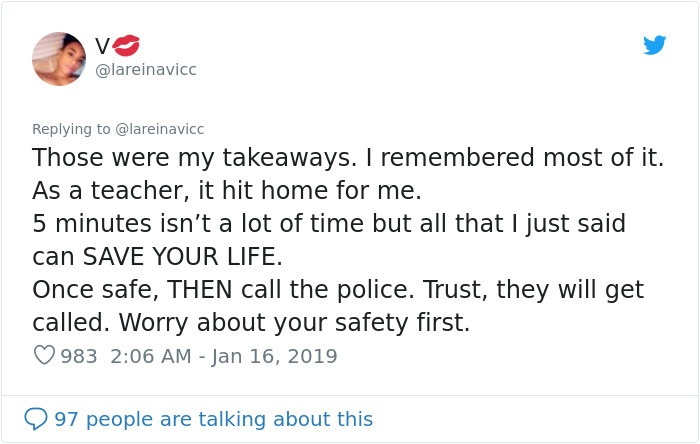 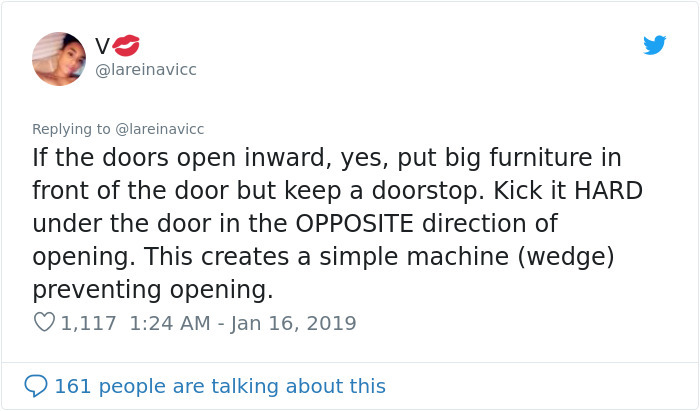 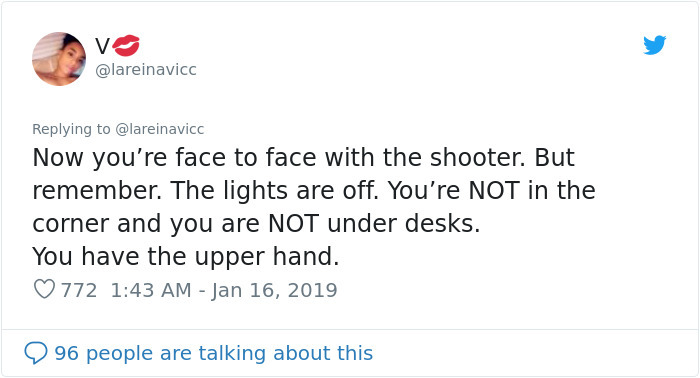 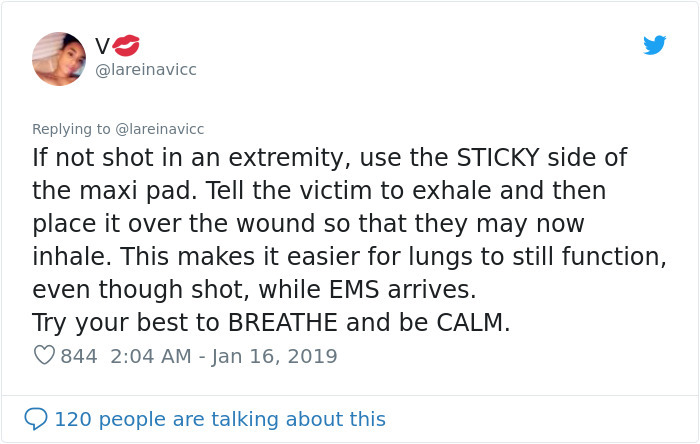 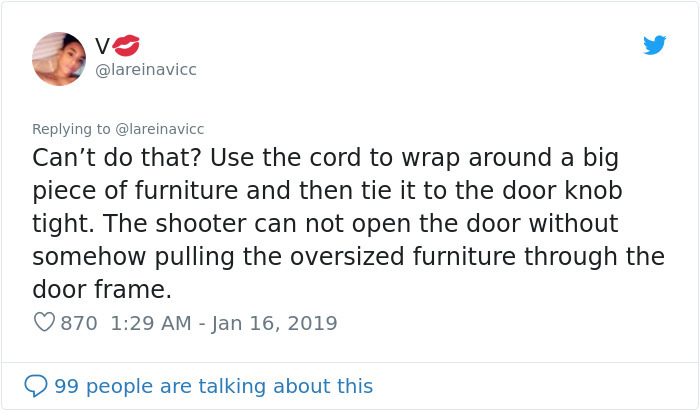 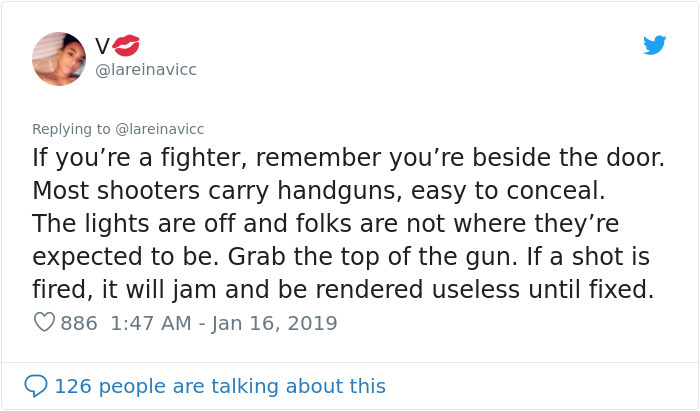 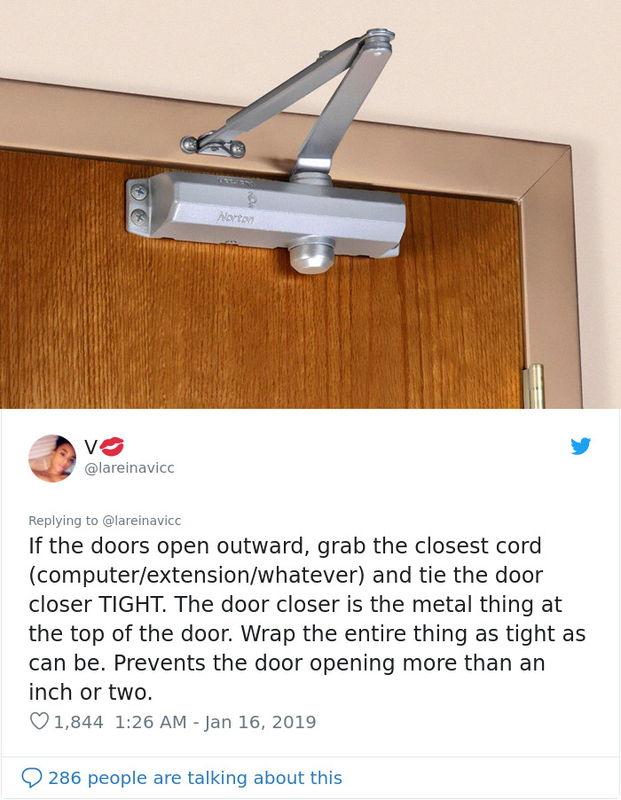 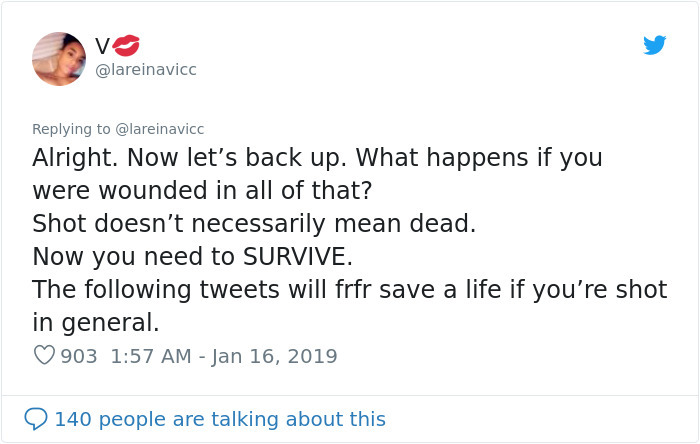 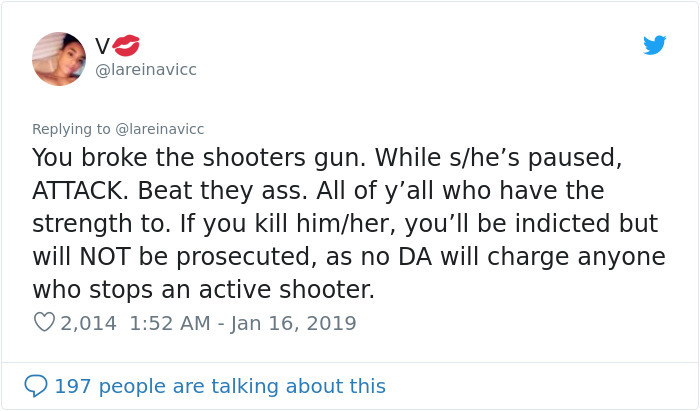 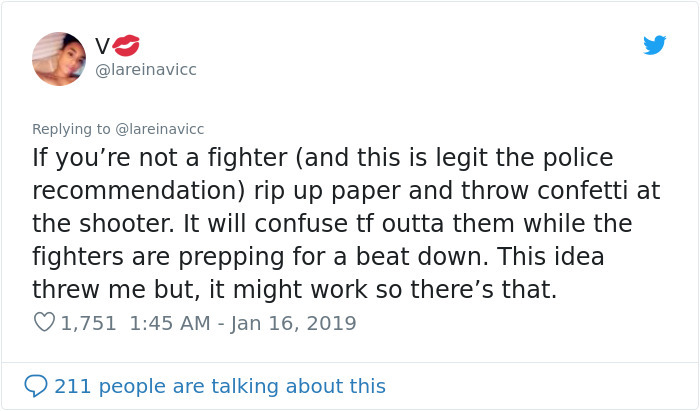 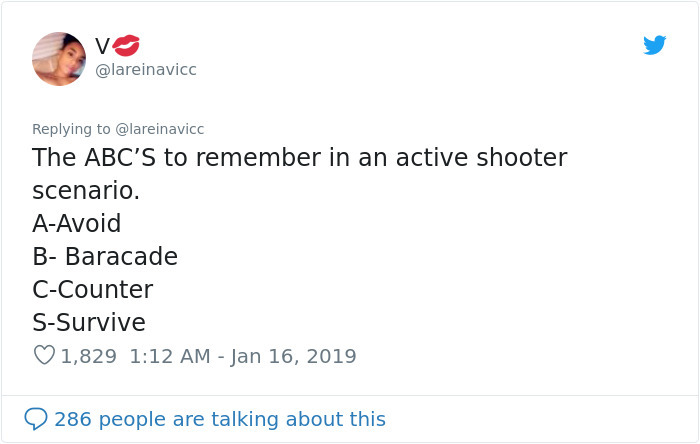 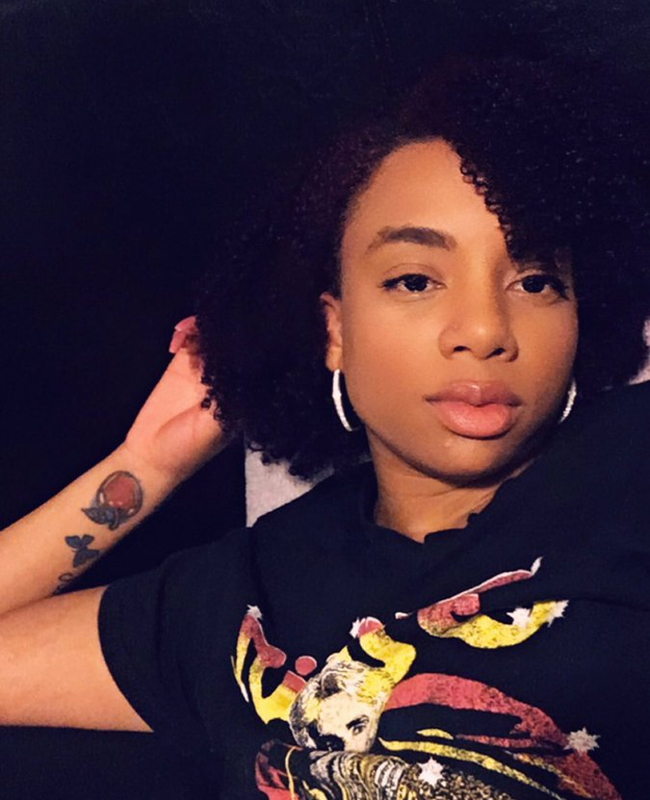 @lareinavicc appears to be a teacher at a school, and with 113 people killed or injured in school shootings in 2018, it definitely makes sense for teachers to be knowledgeable and well-trained about the risks.